A gentle reminder that we may need to recalibrate our thoughts and deeds to reflect appreciation for what we have. An excellent life lesson for all ages! 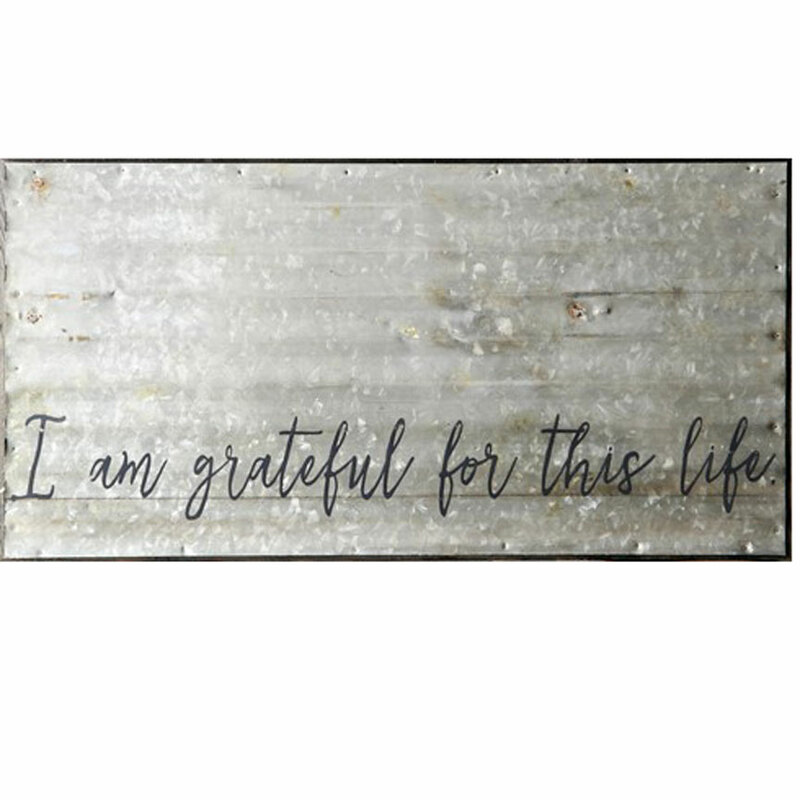 Recycled steel on a wood frame; made in the USA and wearing a slate finish. 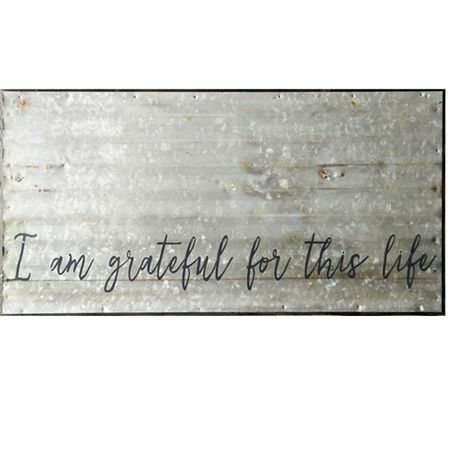 Sign reads: I am so grateful for this life.